Today, the tradition continues as the 2009 Delaware State Fair celebrates its 90th Anniversary. This year the Fair is running from July 23 through August 1, 2009. It is located on the State Fair Grounds in Harrington Delaware just west of the South DuPont Highway / Route 13. It is also adjacent to the Harrington Raceway & Casino. The Casino is open during the fair while the Raceway is being used for the Grandstand Concerts and Events. As always, the fair is packed with activities. Events are being held every night including Darius Rucker Wednesday Night, the 2009 Summer Jam on Thursday, Demolition Derby Friday, and finally Kelly Clarkson this Saturday night. Wade Shows will be running the Carnival which is opening at 1:00 every day till closing. 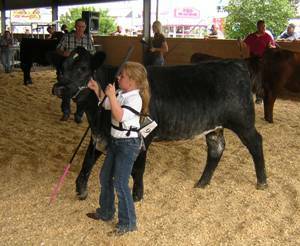 As always, there will be tons of livestock competitions, various exhibits, Kids Entertainment, and contests throughout the week with live broadcasts from the grounds and even a nightly parade. Take the day, take the evening, or take the weekend and visit Harrington to enjoy the DE State Fair. Participate in some competitions, learn all about Delaware agriculture and new Green programs coming up across the state, and just enjoy some time out with the family. Another great area event and a great way to get out and enjoy all the area has to offer. As always, I am available anytime if you have any questions or need any additional information.